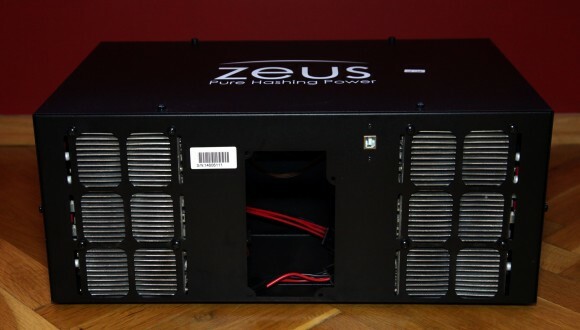 The ZeusMiner Thunder X6 is probably the most interesting of the new low-power X6 series Scrypt ASIC miners from Zeus, even though with its 18-20 MHS hashrate it is already under 1 Litecoin per day as expected mined coins. 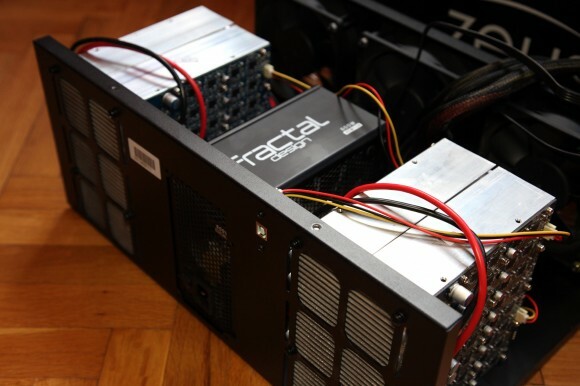 The miner is rated at 18-20 MHS hashrate with 450 Watts of power usage using a total of 128 Scrypt ASIC chips and with a case designed to integrate the power supply inside the miner. At the right price this miner is very interesting if you are considering investing in Srypt ASIC miners with the “big boys” still not ready to start delivering. 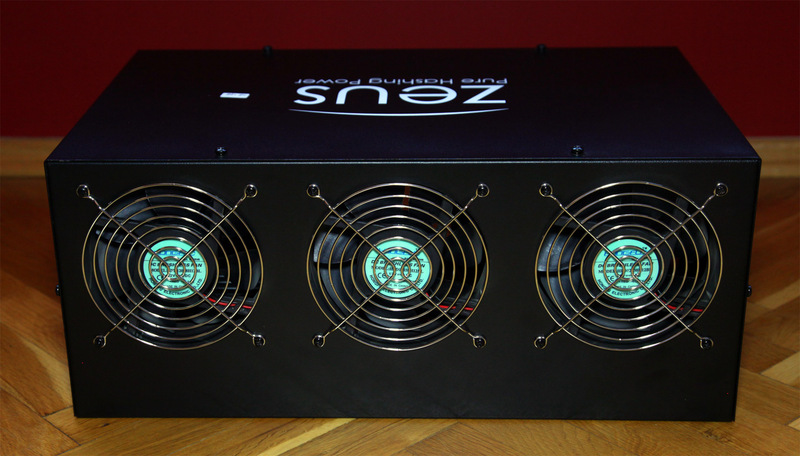 Similar to the other X6 miners, here as well Zeus did lower the operating voltage and the frequency of the miner in order to achieve lower power consumption. The previous generation Thunder X3 was rated at 28 MHS with about 920W power usage, so we have about 2/3 of the hashrate with about half the power usage with the new Thunder X6 miner. That combined with the lower price of the new generation miner is what actually makes it an attractive option if you are moving to Scrypt mining with ASIC, though you should still do the math carefully. We’ve mentioned that the case of the miner is designed to take inside a power supply, however we do not consider that to be so wise of an idea due to the way modern power supplies are made to be cooled. The normal installation of the PSU will make the power supply take hot air from one of the modules with chips and blow the hot air at the back of the miner where the cooling of the chip modules takes in the air that goes through the massive aluminum radiators. And the middle fan on the case of the miner will not do much of a work, so we do recommend keeping the power supply outside of the miner case. The operating voltage of the chips inside the ZeusMiner Thunder X6 has been lowered to 1.1V in this version of the miner in order to provide the lower power consumption along with the lower operating frequencies used. Zeus does recommend to not go above 248 MHz as an operating frequency for the new X6 series of miners, though you would probably want to go lower in order to get less HW errors. Zeus does state 450W of power usage for the Thunder X6, however we have measured a power consumption of about 542-546 Watts at 250 MHz or like 100W more and the miner uses two 6-pin PCI-E power connectors. This means you need to be careful in what power supply you are using, we do recommend to go for at least 600W 80 Plus certified PSU and to check the temperature of the power cables going to the miner as if the load is too much they will get too hot and that can cause possible damage to the hardware – something that you will want to avoid happening. 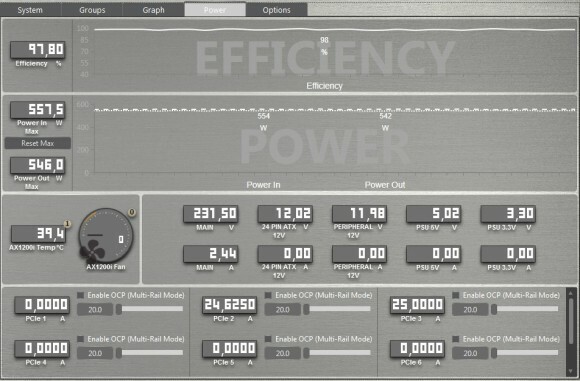 A good quality power supply should handle the higher load it gets of about 270W per PCI-E line, but some not so good PSUs might have trouble handling well such a high load on the PCI-E lines, so be extra careful. 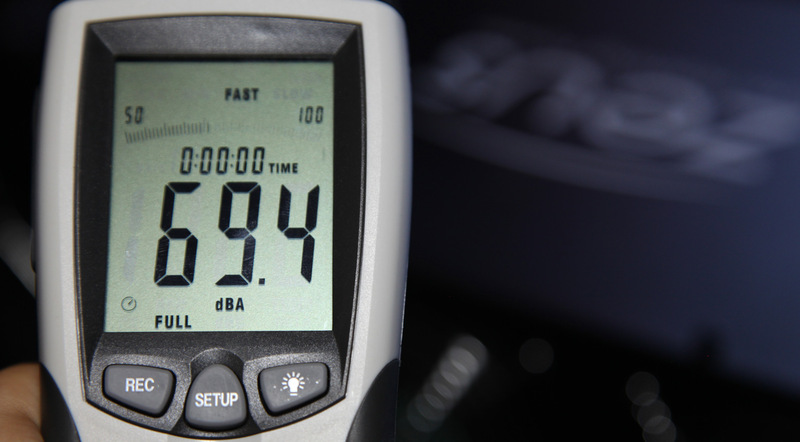 Taking a look at how noisy the cooling of the Thunder X6 is, we have measured about 70 Decibels (dBA) in normal operating mode. This is quite noisy and you would not want to have the miner in a room with people, it is designed to be kept in a dedicated mining room where noise is not a problem and good cooling is what you need to have. The cooling that the powerful 120 mm fans provide is adequate enough even if the ambient temperature is not so low, so you should have no trouble with the cooling of the miner. We have already talked about the fact that the ZeusMiner Scrypt ASICs are prone to producing more hardware errors that we are typically used to see with most other ASIC miners, however this is not a problem for them operating normally. With the Thunder X6 we are seeing a bit less than 6% of HW errors with the miner running at 250 MHz with the hashrate going to about 20-22 MHs, about 5% with a frequency of 240 MHz and a hashrate of 19-21 MHS and about 4.3% at 230 MHz with 18-20 MHs. So going too low with the frequency will not help that much in reducing the number of HW errors, but will affect the hashrate you are getting, so you need to find the best balance starting from about 250 MHz and going down. Here is a look at the poolside reported hashrate from the LTC Rabbit Scrypt mining pool using the new fixed difficulty port with 1024 difficulty for Scrypt ASIC miners and the Hurricane X6 running at 250 MHz operating frequency. We have observed some issues with the ZeusMiners running at some pools with vardiff enabled (getting mostly HW errors), so we do recommend sticking to pools with fixed difficulty and 1024-2048 dificulty seems to work very well with the Thunder X6. 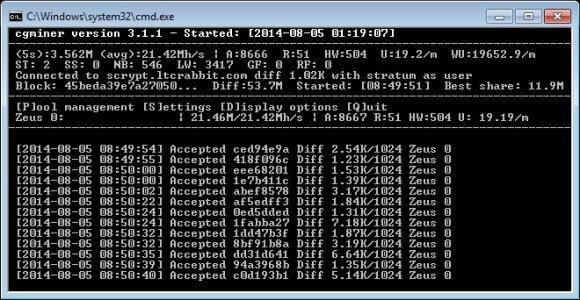 Our conclusion after testing the ZeusMiner Thunder X6 Scrypt ASIC is that the miner is working well and performing as expected, delivering the performance that is advertised, though at a slightly higher actual power usage. With the hashrate delivered you are already sure to get less than 1 LTC per day with the current Litecoin network difficulty, but if you secure a good price for the miner it might still be an interesting option for people with not so big budgets for mining hardware. The price per MHS is not as good as with the larger Lightning X6, but is still decent enough to make you think after you do some math about the expected return of investment. It will not get you rich for sure, but the Thunder X6 is currently the option to consider if you are not going to be getting the hardware to mine just for fun or get used to Scrypt ASIC mining with something not so expensive.